Yaegaki Meguru's next door neighbor is unique, to say the least. They are the Kusanagi ninja lineage, and their son, Kanata, has been her classmate and friend since their younger years. Kanata would always get into trouble or be late to class due to his ninja upbringings. Every morning, Meguru would have to pull him away from his training with his father. Most days, he's late to class anyway. In the past, they both vowed to never hide secrets from each other, yet Kanata would not reveal the "true purpose of a ninja." Meguru understood the reason behind Kanata's secrecy regarding his ninja background when a powerful force is released inside their own school. Then, Kanata will reveal his true potential as a ninja. Nakamura Koedo and Daizu Keisuke like each other, but bad things seem to happen whenever they're together. They decide to date, but it seems like any time they get a chance to be near one another, something ridiculous and unexpected happens! For instance, Koedo tries to give him a first confessional love letter on a day that he is injured and can't see! On the first day they walk home together, Daizu is chased and terrorized by Koedo's own dog! Can they overcome their curse? Kamayude Boumei has proved the existence of heaven, but has also shown that it's impossible for an ordinary person to get there. One would have to save up many millions of good points from your life to be able to find their way to heaven. Everyone else's soul just vanishes after their death. 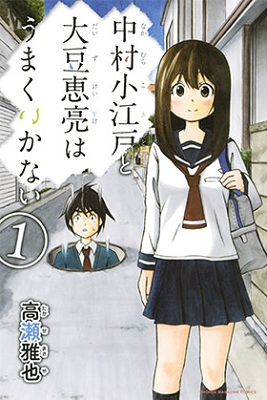 A couple of high school students end up teaming up with Kamayude's daughter to try to find a way to go to heaven. As Japan's population grows older and smaller, and murder rates sky rocket, the Japanese government began to implement stricter laws against the worst criminals. With even the death penalty lacking the deterring force to stop the most violent criminals, Japan brought back to life a law from the 19th century: the "Revenge" law. This law will now allow victims and their related parties to employ a government special forces agency to capture the murderer and reenact the exact same methods with which the victim died onto the murderer. 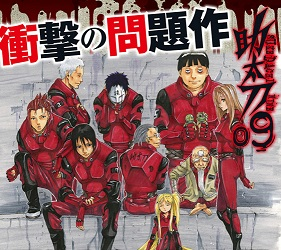 Yamagishi Yuji is the 7th member of the Special Forces "Sukedachi-nin." Each of the members of this special forces have been chosen to enforce the Revenge law because they too have been a victim of past crimes. Hyuga Tetsuo and Kusanagi Itsuki have been best friends since childhood, even though they are very different. Tetsuo is loud, good-natured, rough, not very smart, and dreams of being a teacher one day. Itsuki is smart, quiet, and very serious. One day, Tetsuo gets in a fight that leads his teacher to expel him from school, and Itsuki gets the same treatment for trying to help him. While Tetsuo is angrily sitting in class afterward, a missile launches from his pinky finger, killing the teacher. Tetsuo soon finds out that he is or is becoming more than what he once was. He's now become embroiled in a war he doesn't understand, and one of his other classmates has revealed herself as his ally. However, Itsuki is not involved, and staying near Tetsuo will likely end up getting him killed. Will Tetsuo be able to figure out what's going on, and also protect his best friend? "...Umaku Ikanai" was really cute and funny. I think anyone looking for a fairly innocent romantic comedy would enjoy it. 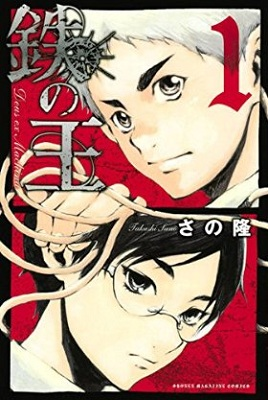 "Tetsu no Ou" seems set up to be a standard battle manga, but I liked the focus on the two boys' friendship. RKD-EK9 was a unusual look at the afterlife, and how scientific proof of its existence could affect the living. 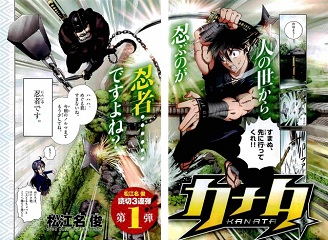 Kanata - If you're a fan of action and ninjas, then you might like this short one-shot. Nakamura Koedo to Daizu Eryou wa Umaku Ikanai - If you're in the mood for a romantic comedy where the world is trying to trying to prevent the couple from staying in the relationship, then this may be more your style. RKD-EK9 - This nice one-shot is from the mangaka of Death Note/Bakuman and Bakemonogatari/Medaka Box. If you're a fan of either mangaka, then this is a must read. Sukedachi 9 - This is an interesting take on how to prevent people from committing crimes by punishing people with the crime they committed. I'd be interested in reading this. 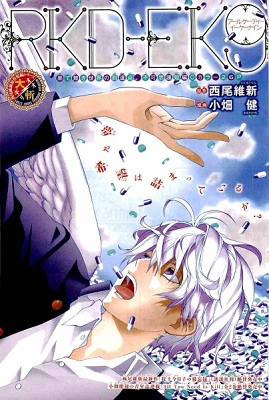 Tetsu no Ou - If you like sci-fi,action and aliens, they you should check out this manga. 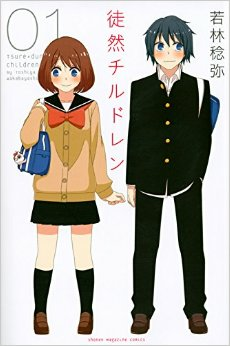 Tsurezure Children - This is another romantic comedy, but in 4koma. If want another choice of romance and the troubles young love go through, then you may want to check out this one instead. If you haven't done so already, check out the scanlations of the mangas from previous shout outs which have been recently scanlated: historical drama Harukaze no Snegurochka (MH link), action comedy Trash. (MH link), action comedy Fuji Cue!!! Fuji Cue’s Music!! (MH link).